All games are 501-fly away/double out. Non-members welcome (will be signed into the Branch by a Member). Weekly Blind Draw Selection. 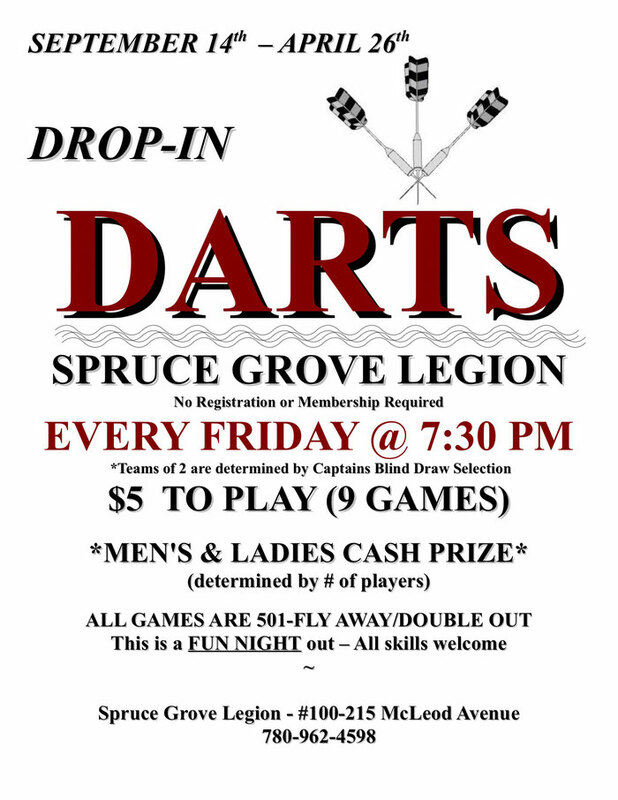 All skills welcome, beginners encouraged. Please bring your own Darts.